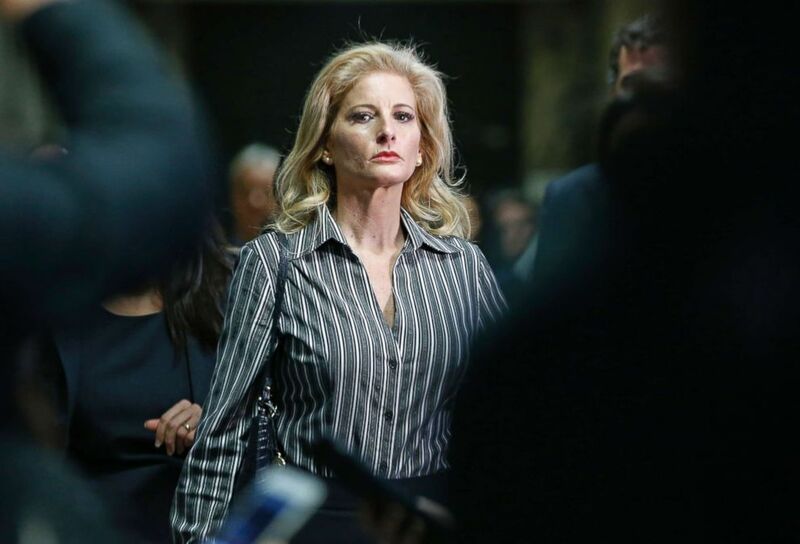 New York State’s highest court on Thursday rejected an appeal from President Trump in a defamation case brought by Summer Zervos, a former contestant on “The Apprentice” who alleges that Trump groped and kissed her without her consent in 2007. Summer Zervos, who is suing President Donald Trump in a defamation lawsuit, leaves Manhattan Supreme Court after a hearing in New York, Dec. 5, 2017. This is the third time Trump’s attempt to halt discovery in the case and a possible deposition of the president has failed. In a brief order, the New York Court of Appeals, on procedural grounds, rejected the president’s attempt to dismiss the case or delay it until after he leaves office. The court ruled that Trump’s appeal is premature because there has not been a final determination of his motions in the lower courts. But the president’s legal team was undaunted. “The Court of Appeals did not address the merits of the issue at stake here (an issue first raised by the U.S. Supreme Court in Clinton v. Jones) —- namely, that, under the Supremacy Clause of the U.S. Constitution, state courts do not have jurisdiction over a sitting President,” a spokesperson for the president’s attorney, Marc Kasowitz, said in a statement. The president has denied he sexually assaulted or harassed women, including Zervos, before he took office. Zervos sued Trump in 2017 just before he took office, claiming he falsely called her a liar. As part of the case, she is seeking to question him under oath. Judge Jennifer Schechter ordered that certain documentary evidence be produced by September and depositions be completed by January. Zervos is asking for “special damages” of almost $3,000 plus damages for emotional harm and business loss and for punitive damages.